Have you experienced reduced airflow from your vents? Or seen pet hair or dust trapped in the ductwork of your Belleair, Florida, home? You’re not alone. Over time, ducts can become clogged with dust, pet hair, dander, allergens, and other debris, preventing your HVAC system from running at peak efficiency. Here are a few signs that could indicate you need to schedule an air duct cleaning with Advanced Cooling Systems. 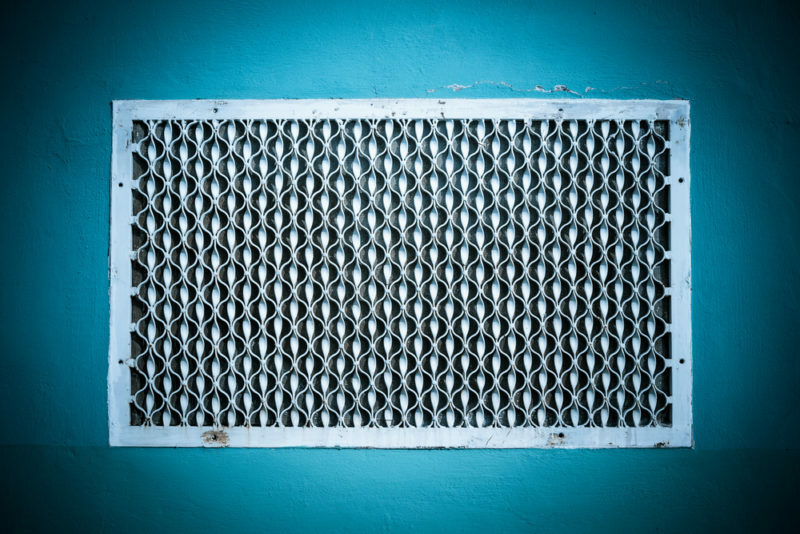 It’s important to change your air filters every one to three months to keep your HVAC system working at max efficiency, but too much dirt accumulation could indicate a problem. If your air filter becomes noticeably dirty within two to four weeks, it’s a sure sign you need to have your ducts cleaned. When ducts are clogged, air can’t flow freely from the vents like it normally would, causing your HVAC unit to work overtime. You may notice the air isn’t flowing as strongly as it has in the past, which is a good indication the ductwork needs a good cleaning. Clogged ducts make it difficult for your HVAC system to provide fresh, clean air throughout the home. Your family may notice increased allergic reactions to dust, mold, pet dander, and other allergens that are circulating through the ductwork. Only a professional cleaning can address this issue and improve your air quality, so don’t jeopardize your family’s health by putting it off. If you’ve cleaned your registers and noticed rodent droppings inside your ducts, you’re dealing with a rodent infestation, which could pose serious health risks to the family. Another sign of infestation is insect husks, which suggests insects have taken up residence inside your HVAC system. When an infestation occurs, you may not notice reduced airflow or overly dirty air filters, but these droppings or husks are a clear sign you need to contact an exterminator and your HVAC contractor in one fell swoop. Moisture issues inside your ducts can lead to mold which, in turn, can cause respiratory and skin issues for anyone sensitive to the allergen. Even in family members without allergies, mold can cause serious health problems after prolonged exposure, so you need to schedule a professional cleaning as soon as possible. Mold can also indicate moisture problems in other areas of the HVAC system, including the coils and other components. At this point, you may want to schedule your annual maintenance so a technician can inspect the entire system for mold growth. Okay, so you can’t exactly see carbon monoxide, but it’s something to keep in mind at the start of each heating season, especially if you use a furnace, fuel-burning stove, or fireplace. The Environmental Protection Agency recommends having your fuel-burning heating system inspected before winter, giving yourself adequate time to have it repaired when necessary. Doing so can help reduce carbon monoxide hazards and give your family peace of mind all winter long. When was the last time you had your ducts cleaned? If you can’t answer that question, or it’s been several years, it’s time to schedule a professional duct cleaning. Homeowners should have their ducts cleaned every two to seven years depending on whether you have pets and whether your family is susceptible to allergies. When pets or allergies are involved, err on the safe side and schedule your duct cleaning every two to three years. Households that don’t suffer from allergies and don’t have pets can hold off for the seven-year mark. Regardless of whether you’ve spotted a common sign listed above or you’re simply overdue for a cleaning, always hire an HVAC company that is properly certified through the National Air Duct Cleaners Association. A professional duct cleaning will boost your home’s indoor air quality, save energy, and keep more money in your pocket in the long run. Don’t put it off any longer. Contact Advanced Cooling Systems at 866-827-7662 to schedule a duct cleaning with one of our friendly, knowledgeable technicians. With our HVAC and indoor air quality services and innovative products, we’ll ensure your home is healthy and clean year-round.